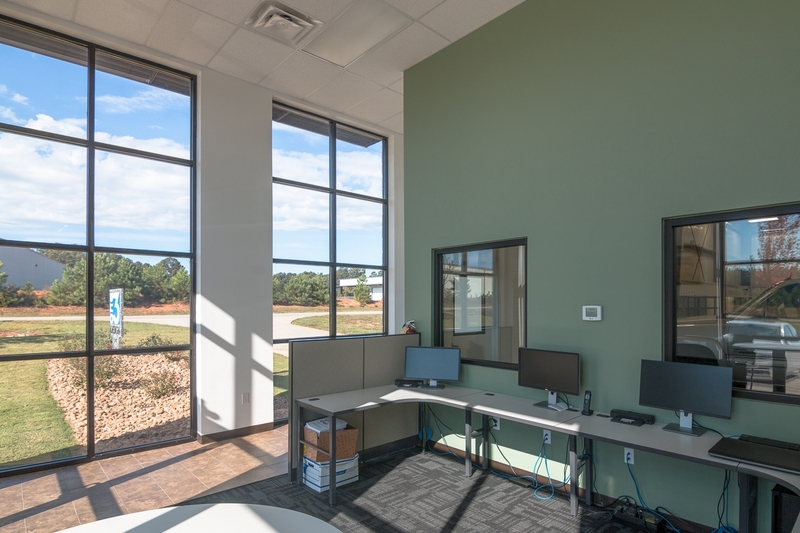 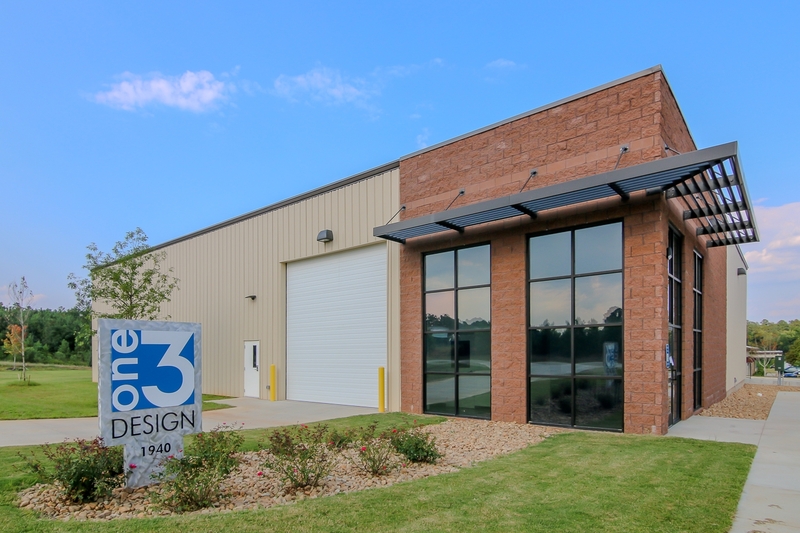 The office of One3 Design was a negotiated job that included site work and new construction. 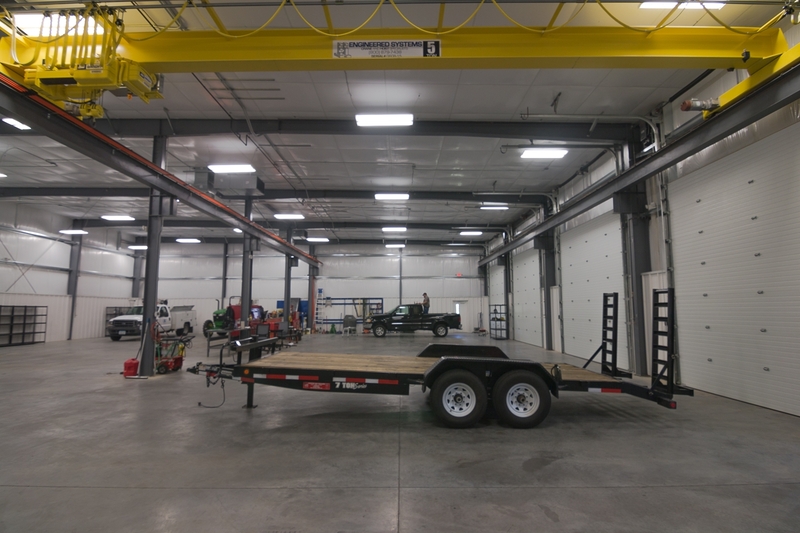 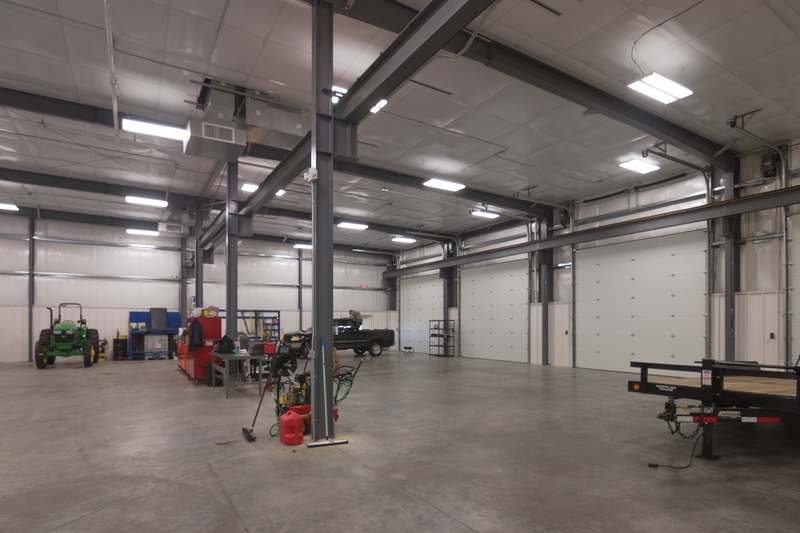 The 8,000 square foot pre-engineered steel building features a standing seam metal roof, lobby, 4 overhead doors, air conditioned shop and a overhead bridge crane. 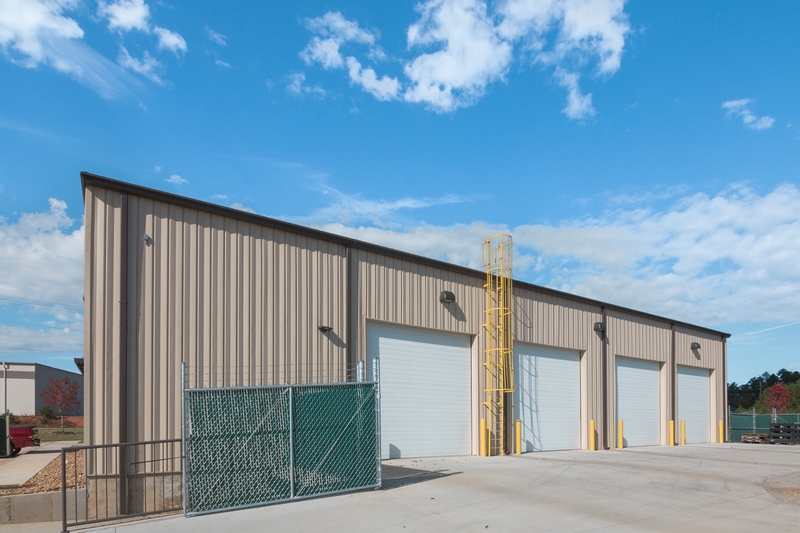 The exterior facade features split face block and metal siding.